The Cowal Peninsula is a particularly captivating part of the West coast of Scotland, ever so slightly off the beaten track, but with all the beauty and splendour the West Highlands has to offer. Dunoon makes for an ideal base, unique and historical towns such as Inveraray, Oban and Fort William are within easy reach, and whether driving or walking about, the spectacular Highland scenery is a real joy. For the energetic, activities such as quad biking, clay pigeon shooting, golf and fishing can easily be arranged. A more gentle day might involve a lovely forest walk, a spot of loch side lunch, and back to the hotel for tea and home baking. Cowal can boast beautiful beaches, castles and botanical gardens, and being on the cusp of Scotland’s first National Park, the natural beauty of the area never fails to delight. The Castle House Museum, which has been open since 1998, is one of Dunoon’s most historic locations. 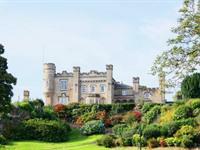 Dunoon became a holiday resort when Lord Provost Ewing of Glasgow bought the land around the ruined medieval castle and built himself a holiday home. Click here fore mor information. 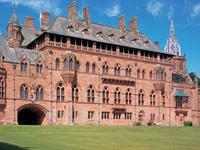 The spirit of nineteenth-century invention is embodied in Mount Stuart – a feat of Victorian engineering, this neo-gothic mansion was one of the most technologically advanced houses of its age. Ironic, when you consider the medieval inspiration of the Gothic Revival. 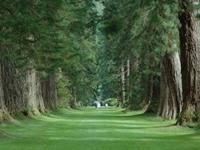 Set in 300 acres of grounds which include designed gardens, woodland and coast there is something for everyone at Mount Stuart! Click here for more information. In a magnificent mountainside setting on the Cowal Peninsula in Argyll lies Benmore, an enchanting Garden steeped in history and surrounded by dramatic scenery. Click here for more information.